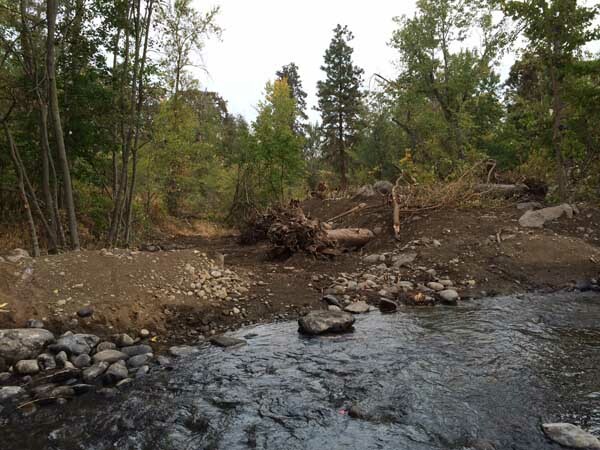 After receiving initial feedback from the permitting agencies in 2015, the Wasco County Soil and Water Conservation District and DWC contracted with Waterways Consulting to complete the final design and oversee construction. Waterways incorporated agency comments and completed a value engineering analysis to bring the projected construction cost within the available budget. Waterways also built a hydraulic model to fulfill FEMA No-Rise requirements and to analyze the timing and frequency of flow accessing the restored side channel. 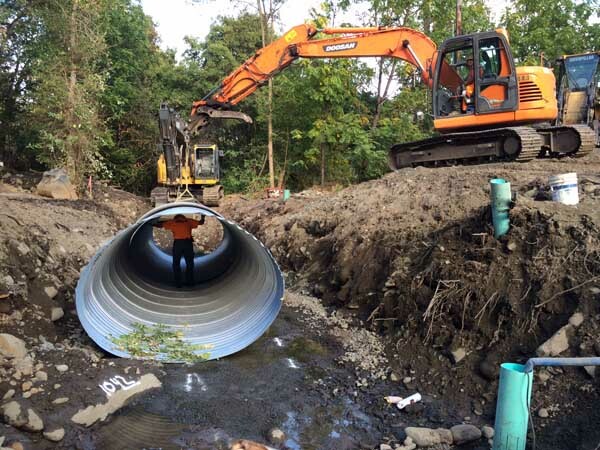 The final restoration design included excavation and connection of the historic side channel, installation of a multi-plate pipe arch culvert embedded with streambed material, and installation of large wood structures along the side channel and floodplain. The project was constructed during summer/fall 2015.